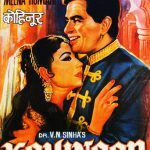 Today we have brought Super Hit Old Hindi Movies List 1960 from the golden era of Bollywood. 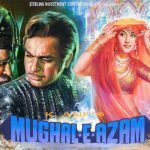 The 1960s is considered to be an important part of Bollywood’s golden history.This is the year when the biggest and best movie “Mughal-E-Azam” of Bollywood history was released. At the same time, there were some other films that left memories in the audience. 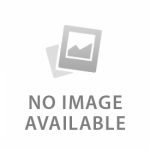 So let’s just highlight those golden memories today. 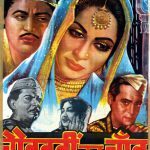 Budget & Collection: Mughal-E-Azam made in the huge budget of Rs 1.5 crores and it collected whopping 5.50 Crores at the box office. Information: This movie proved to be a milestone for the Bollywood film industry. Directed by K.Asif, the film was one of the most expensive films of that time that was made in 4 years.This film was a periodical film based on Emperor Akbar and his son Salim. In the film, the role of Emperor Akbar was played by Prithviraj Kapoor, while his son’s character played by Dilip Kumar. Madhubala was seen as Anarkali. Music was given by Naushad. This movie is one of the highest grossing movies of all time. Mughal E Azam won the National Film Awards and 3 Filmfare Awards. Box Office Collection: The film was a big commercial success for Guru Dutt and it collected Rs 1.2 crores at the box office. Information: It was a tremendous musical film. The title song of this movie is still liked by people.One of the greatest actors of Bollywood “Guru Dutt” has played the lead role in this movie. Legendary Bollywood actress Waheeda Rehman played the role of Guru Dutt’s wife in this film. 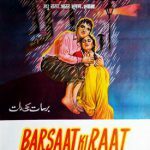 Box Office Collection: Barsaat Ki Raat emerged as a super hit and it collected Rs 1.70 crores at the domestic box office. Information: This film was another classic film adorned by Madhubala’s acting and beauty. Veteran actor Bharat Bhushan was also seen in the film along with Madhubala. This film was a love story and it emerged to be a huge hit on Bollywood. Music was composed by Roshan. Box Office Collection: This typical patriotic film made a huge business of Rs. 2 Crores at the domestic box office and became of the highest grosser film of the year 1960. 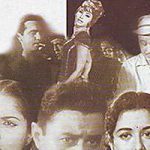 Information: This film was one of the best film produced by Raj Kapoor. The movie won the National Award and Filmfare award for the Best Film. Raj Kapoor earned Filmfare Best Actor Award. The movie was directed by Radhu Karmakar and music composed by Shankar Jaikishan. This film had a great success at the box office. Box Office Collection: This small budget melodious romantic drama emerged as a hit at the box office. The film earned Rs. 90 lakhs in the Indian market. Information: This Movie defeated iconic Mughal E Azam in Filmfare Music Awards. Shankar Jaikishan won Filmfare Best Music Director awards for his historical composition “Ajeeb Dastan Hai Yeh”. Meena Kumari played a nurse in this film. It is considered one of the finest films of her career. Information: Directed by veteran director Manmohan Desai, this movie proved to be a huge hit that year. Raj Kapoor and Nutan’s pair were seen together on the big screen in this film. The music of this film was a significant part of its success. 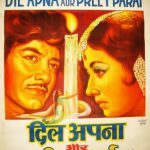 Information: It was Dilip Kumar(Another Is Mughal-E-Azam) and Meena Kumari(Another Is Dil Apna Aur Preet Parai) second successful film, released in the year of 1960. The song “Madhuban Mein Radhika Nache Re” considered as a spectacular specimen of classical music. This was one of the top 10 grosser of the year 1960. Information: One of the biggest hit of the year 1960. This movie is considered in Navketan’s top 10 films. Superstar’s like Dilip Kumar, Raaj Kumar, Nargis, Guru Dutt, Rajendra Kumar was seen in the guest appearance. 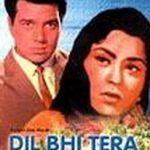 Information: This was the debut film of Bollywood’s He-man “Dharmendra”. The movie did an average business but Dharmendra’s performance acclaimed by critics and audiences. 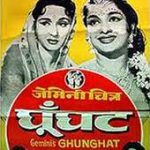 Information: The movie emerged as a super hit at the box office and one of the highest earning Hindi movie of the year 1960. Bina Rai received the Filmfare nomination for Best Actress. The movie based on a Bengali story “Noukadubi” written by Rabindranath Tagore. Information: This suspense thriller film is considered as a musical masterpiece. Lyrics were written by Majrooh Sultanpuri. 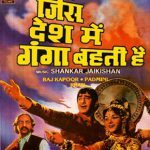 Information: Veteran actress Sadhana made her Bollywood debut in this film. This film was a big commercial success and emerged as the fifth highest grosser film of the year. Lyrics were written by Rajendra Krishan. Information: The film was not a big hit but it did average business. Lyrics were written by Hasrat Jaipuri, Gulzar, Gulshan Bawra. Well, in the year 1960 a lot of films were released, but these films were from them which made history. 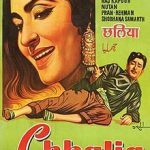 Thank you for Reading Our Article On “Old Hindi Movies List 1960,1960 Bollywood Movies List, Old Bollywood Movies 1960,1960 Hindi Movies List” Stay Tuned With Us for New Articles.